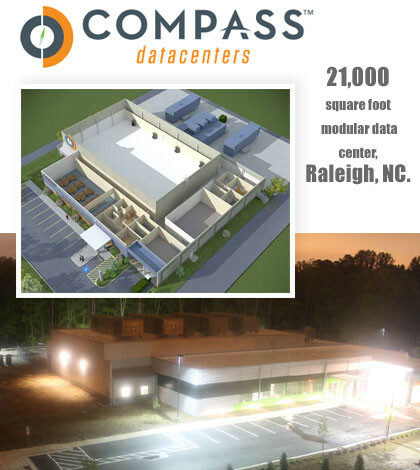 Compass Datacenters has completed construction and commissioning of its first data center facility in Durham, North Carolina, located within Research Triangle Park (RTP). The standalone data center facility is 22,000 square feet in size with a starting raised floor space of 10,000 that can be expanded in the future. It features 2500 kVA of utility capacity and 300 tons of cooling capacity. The project was completed in only six (6) months using Compass’ patent-pending Truly Modular Architecture. The facility has been leased by Windstream Hosted Solutions. The facility in Durham was built using Compass’ Truly Modular™ Architecture, which makes it possible for companies to locate their data centers where they need them—at an affordable cost—rather than where their provider happens to have a facility. The centerpiece of Compass’ patent-pending design is the CompassPod™, which provides 10,000 square feet of columnless raised floor space supported by 1.2 MW of electrical power with 2N power distribution. The facilities delivers a PUE of 1.2 – 1.5 or lower at loads as low as 25 percent. CompassPods are contained within, and protected by, the CompassStructure™, a hardened, energy-efficient, highly-secure structure for the facility’s mission critical IT systems. The CompassPowerCenter™ provides the UPS (2N) and switchgear (2N) equipment required to ensure uptime and reliability. Each facility includes a dedicated CompassSupport™ module that provides to meet the needs of operational staff and logistics for data center operations, including a security center, lobby, office space, loading dock, break area and restrooms. 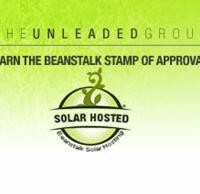 Compass Datacenters builds hardened, Tier III-certified, LEED Gold, standalone data centers using its patent-pending Truly Modular™ Architecture, which provide customers with dedicated wholesale solutions where they need them. The innovative design of its facilities make it possible for Compass Datacenters to deliver state-of-the-art solutions that enhance control and simplify capacity planning for customers anywhere in the United States, serving the vast majority of companies that are not located in the few markets where geographically-constrained data center facilities are currently concentrated. 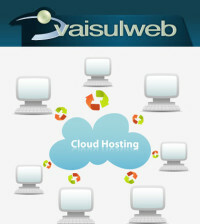 For more information, visit www.compassdatacenters.com.